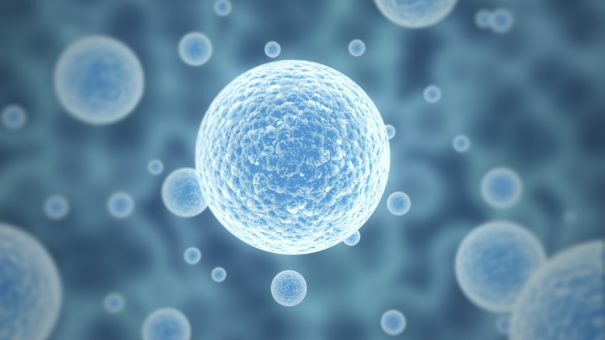 Australian biotech Mesoblast can go ahead with a US filing for its off-the-shelf stem cell therapy for acute graft-versus-host disease (GVHD), after negotiations with the FDA. The ‘rolling’ biologics license application (BLA) for remestemcel-L in children with steroid-refractory acute GVHD – a life-threatening complication that can arise in blood cancer patients who’ve had bone marrow transplants – comes a few months after the company revealed positive trial data with the therapy. In the 55-patient open-label trial study reported last year, 69% of treated children had a complete or partial response, which compares to a historical control response rate of around 45%. GVHD is one of the leading causes of death in patients receiving donor stem cell transplants, and occurs when the donated bone marrow cells mount an immune response against the recipient’s healthy tissues. Steroids are the first-line therapy, but in around 15% of cases can’t resolve the acute inflammatory response. In those cases, the death rate can be as high as 70% after 100 days, but in Mesoblast’s trial 78% of patients treated with remestemcel-L were still alive at that timepoint. Mesoblast said it will submit each module of the BLA to the FDA on a rolling basis as it is completed. That approach will provide “opportunity for ongoing and frequent communication, and during this process the company expects it will be able to adequately address any substantial matters raised by the FDA”, said the company in a statement. Remestemcel-L has already been granted a fast track designation from the FDA and will be eligible for priority review once the filing is accepted by the FDA. The therapy has already been approved for GVHD in Japan, where it is sold by licensee JCR Pharmaceuticals as Temcell HS Inj, and was filed last month for the additional indication of epidermolysis bullosa, a serious rare genetic disease in which minor friction causes blisters or erosion of the skin. News of a filing is a boost to Mesoblast, after its Revascor (MPC-150-IM) therapy failed to hit the mark in a phase 2 trial in heart failure patients reported last November. Injections of MPC-150-IM (mesenchymal precursor cells) directly into the myocardium during the implantation of a left ventricular assist device (LVAD) did not improved the chances of them being able to do without the device, although the therapy did work in some subgroups. The biotech is planning a second trial that will try to show that the therapy can reduce complications including gastrointestinal bleeding in end-stage heart failure patients implanted with an LVAD. The therapy is still in a larger phase 3 trial pf Revascor in chronic heart failure that completed patient recruitment earlier this year. Former partner Teva returned the rights to the therapy in 2016.